Discipline is "instruction having for its aim to form the pupil to proper conduct and action, training to proper and orderly action by instructing and exercising, mental and moral training, the training effect of experience, adversity, a system or method for the maintenance of order, a system of rules for conduct." To subject "to discipline means to instruct, educate, train, more especially, to train to habits of order and subordination, to bring under control." Discipline of the self is the primary activity of the Disciple Degree. Perfect discipline is command over the self until it is utterly subordinate to the soul. Discipline of the self is a law of doing and a soul virtue. One who disciplines and annoys you is not your trial, but your teacher. – Edna Lister, Unpublished Lectures, February 22, 1936. God does not discipline you. You must discipline yourself. You set vast laws in action, fast and furiously at times, whose effects you must work out for yourself. – Edna Lister, August 17, 1937. You must be self-disciplined and watch your step. – Edna Lister, November 24, 1938. Fully apply the law to all your works so that they do not grow into the abomination of lukewarmness. What you receive easily is not stable or steadfast. What costs you greatest effort to attain shall be a fortress of sanctuary in your time of greatest need. – Edna Lister, January 8, 1939. All mysteries deal with acceptance, discipline and obedience to divine law. – Edna Lister, A Design for Ascension, 1941. Responsibility for obedience to the highest principles means right self-discipline as we grow into the fullness of Christed stature. – Edna Lister, A Design for Ascension, 1941. Self-discipline is the practice of right thinking, properly using imagination as vision (recalling it to duty each time it wanders), and fully using the love of God instead of silly emotions, usually based in self-pity. – Edna Lister, A Design for Ascension, 1941. To remain poised, you have one task – to command and discipline yourself to ignore all outer appearances. – Edna Lister, A Design for Ascension, 1941. When you discipline self, you start to walk the Master's Path of Destiny, the Via Christa. – Edna Lister, A Design for Ascension, 1941. Just begin something and the discipline and order of your effort will flow through everything you do, into every area of your life. – Edna Lister, A Design for Ascension, 1941. Self-discipline, diet and exercise are all steps in the process you must pursue for the twenty years it takes to produce a beautiful tone in body, mind and spirit. Tone is the coordination of body, mind and spirit. You cannot release the pure power of tone until you perfect the whole instrument. The misconception in Western thinking is that this twenty years must fall between birth and age twenty. The law of life is that any twenty years of time will suit, if the individual will devote his soul powers to discipline and conquering of the self to become a perfect instrument for the harmonies and symphonies of the All to use him. – Edna Lister, November 3, 1944. Your obedience to law must be something beyond simple submission. It must be a burning desire to become the law. By your own choice, you have come this far. You can set soul debt aside by lifting it and working on it in prayer and self-discipline. Otherwise, you must work it out with people and events in your life. Three-quarters of the world runs on a plan of too little physical strength to do the job. This is really the escape complex of a soul who seeks to avoid discipline, work, effort or responsibility. The necessary spiritual substance is right at hand, but you must use it. – Edna Lister, January 1, 1945. Your desire for perfection is good. Your performance of self-discipline has too little heat to melt and dissolve that petty self to raise the appetitive soul to full serve the rational soul's conscious mind. – Edna Lister, July 3, 1945. Let no small daily task in any department of life be too humble for your care in self-discipline for soul expansion. You face no greater need for the climb upward than to keep your vows, to finish each task, to leave nothing for another to stumble over as he seeks to redeem time, and to make each moment pay you the greatest of dividends, not only with a task well done but with some discipline of the self to exalt your soul. Your desire for perfection must burn or your self-discipline has too little heat to melt and dissolve that petty self to lift it. – Edna Lister, July 3, 1945. Never use force on the self or on another. Discipline self by determined love, not by will. Never be tense. Declare, "I am. I can. I do." – Edna Lister, July 6, 1945. When the soul is determined to become supreme, you will not miss an opportunity, but will make the most of every hour. Practice strenuous, stringent soul discipline in conquering earth. The first step is obedience to law. – Edna Lister, July 6, 1945. Every hour is an opportunity to release Power, and to discipline self for laxness. – Edna Lister, July 9, 1945. It takes effort and time to make a deep enough impression on the conscious mind's memory cells. It takes rigorous self-discipline to overcome your appetitive soul's habit of making excuses. – Edna Lister, July 10, 1945. You are of no use to the Master until all pride, resentment, grief, rebellion, etc., are completely disciplined out of your character. Complete surrender is doing and being as love, released to earth. – Edna Lister, July 16, 1945. Be self-disciplined and watch your step. Do not let down on self-discipline. – Edna Lister, July 19, 1945. The earth creature lives, eats, sleeps, mates, has pleasures and uses all energy for the same. Those who are successful in business apply self-discipline and driving power to use the hours others use for sleep and play to work for outer success. A genius is always one of Spirit, and has the strength within to apply the lash a million-fold harder to gain outer success. He is conscious of under-the-surface limitations, which hinder him from perfect freedom. The one who fails, uses his time for vain indifference, laziness and lukewarmness of desire to become anything. – Edna Lister, October 14, 1945. Make each hour count in full conquering of self and soul-discipline. “With me is the strong right arm of the Lord my God” when I let Him do the work and support me while I serve Him. – Edna Lister, January 16, 1946. While you stand on principle and steadfastly discipline your self, you hold your point of consciousness. – Edna Lister, June 17, 1947. Make new laws to fit your blind spots for discipline of self. – Edna Lister, June 20, 1947. You have had such training in the discipline of self. Is this training rigid? Yes. Cruel lashes? Yes. You need the self-discipline to reach the heights of glory, crowns past beauty's telling, Power past the world's understanding. This will give you joy. You need a joy vibration to receive. You will not always be given this. Only by mastery can you attain, hold, and use joy. All practice of physical, mental or emotional discipline will bring relief from self, and slough all unlikeness to an absolute pattern of perfection until you cauterize the self. Stand on that principle in healing to complete it. – Edna Lister, July 5, 1947. Regularity in disciplining self will build your soul endurance beyond imagination. You must keep at the self-discipline. – Edna Lister, July 14, 1947. Self-discipline is the only way to earn the right to become a Chosen One. Do not let the subconscious mind get away with anything. Pay attention to everything, always. This you must do. Face it, self-discipline is the way. – Edna Lister, July 20, 1947. You earn the right to ascend by rigid self discipline and staying up in consciousness. – Edna Lister, July 20, 1947. When you think you are so saintly and pure, self has betrayed you. This happens when you expect God to do something that only you can do here – cleanse self from the subconscious. You cleanse self here and now by digging and discipline. Do not expect God to do it for you. Be the conqueror. Otherwise, you are just "thinking about it." – Edna Lister, July 29, 1947. You may not "go to sleep" or rest from disciplining the self. – Edna Lister, August 17, 1947. You must constantly live under rigid self-discipline to ascend. Watch your self at all times, especially when you imagine yourself alone. You are never alone. You cannot escape the Father’s penetrating eye, studying you under all circumstances and positions to see if you can polish yourself to stand and ascend. The strictest discipline you can devise would not be half strict enough. This must be your measuring rod. Others notice how you watch your speech, the words you choose, your appearance, your manner and the way you handle the situation. On these points you make your future. You speak what is in your heart, mind and soul. – Edna Lister, August 26, 1947. You gain your place with most strenuous struggle and rigid discipline. This training in self-mastery is all self-discipline, direct application of law constantly, and living up in consciousness – remaining alert always and never allowing emotions or self to creep in. – Edna Lister, November 13, 1947. Discipline the self hourly for acceptance of law. – Edna Lister, December 14, 1947. As long as you stand and discipline self, you hold all points. – Edna Lister, January 8, 1948. You either discipline self or play at it. You cannot play your way into the kingdom of heaven, for the price is absolute strict self-discipline. You may never play with the law. – Edna Lister, June 3, 1948. As you censor yourself in the love and wisdom of ever growing self-discipline, more Light of illumination will pour through for truly exalted knowing. All self-discipline shall pay great dividends. – Edna Lister, February 4, 1949. Soul requires rigid discipline of self that is balance under God. – Edna Lister, February 26, 1949. Parents save the souls of their children by giving them the laws of discipline. – Edna Lister, June 13, 1951. Sweetly, firmly and finally discipline the self. – Edna Lister, September 4, 1952. The soul must have discipline; to be disciplined is the only anchor of security. – Edna Lister, Seven Angels and Seven Seals, December 9, 1952. Make sacrifice of self on details, for therein lies the only true way of ascension. Self-discipline may best be done in these small things. By doing so, you build up conquering power to handle all things greater in nature. – Edna Lister, April 5, 1953. Many credits remain for you to earn by more self-discipline, more soul conquering and more censoring the tones of voice. These cover your present need for self discipline. – Edna Lister, November 25, 1953. You reap whatever you sow, and find yourself caught in others' reactions if you act or speak in an undisciplined way. – Edna Lister, July 12, 1954. Wipe the day's page clean each night, lift every negative thought and word so you neither harm nor delay yourself or others. – Edna Lister, November 21, 1955. Apply a rigid discipline, not one that is "soft in the middle"; be definite with the self, not indecisive. – Edna Lister, June 11, 1956. Discipline yourself. You are only as strong as your weakest detriment. Make a ladder of your weakest points. – Edna Lister, June 26, 1956. The people and situations in your life provide your opportunities for self-discipline. – Edna Lister, February 5, 1957. Practice being perfect “as of this minute.” God loves you and says, “Yea, I hold you in My arms, but I cannot set aside law.” Disciplining yourself as a student must be rigid. Never let self get away with a thing. If a lesson comes, do not say, “What have I done to deserve this?” Just say, “Thank You for this, Father. Here it is. I lift it to Thee.” – Edna Lister, December 30, 1957. A universal law is behind every rigid discipline. You must always listen with 100 percent of your faculties (subconscious, conscious and superconscious mind) to see and hear spiritually. – Edna Lister, January 1, 1958. You must stand in the Light for it to absorb taints. Let "moment by moment perfection" be your motto. It takes rigid discipline of self for the sake of soul glory. – Edna Lister, January 8, 1958. Disciplining self is most necessary, the one strength to attain. Without rigid discipline of self, you remain static in consciousness, Light seeping through only gradually. You will not get worse or grow in this suspended animation of consciousness. It takes rigid discipline to see and hear spiritually. Discipline self twenty-four hours a day. This is available to all believers, according to their faith, and degree of acceptance. – Edna Lister, January 9, 1958. "As long as one stands and disciplines self, all points are held." To stand is to be steadfast. The difference is then self control. You want discipline of the little self rather than control. Discipline teaches a lesson, but control just inhibits you. – Edna Lister, August 19, 1958. To be great in the kingdom requires constant vigilance and rigid self-discipline here. Work it out. – Edna Lister, September 17, 1958. When the self accedes, God moves in. Be God’s "yes man" and you will always be right in the world of men. This law requires the utmost in self-discipline. Not the self but the soul wins. – Edna Lister, October 9, 1958. Your subconscious mind knows only what you tell it. Begin to see yourself as God sees you, as beautiful, strong, equal to all situations. He sees all your true intentions and the perfect image in which you started out millions of years ago. Discipline the self until you see yourself as He sees you, constantly. This eliminates all self pity. – Edna Lister, October 9, 1958. Improvement is not a flash in the pan or brilliance in action, but a steady, constant forward and upward conquering, hour by hour. It includes rigid self-discipline and attention to the smallest detail. – Edna Lister, The 33 Degrees of Soul Conquering, October 27, 1959. Higher law always asks much more rigid discipline of the self. – Edna Lister, October 30, 1959. The information and knowledge that you store in your memory cells do not ascend you, but sorting, separating and obeying a few laws at a time does. Use rigid self-discipline to keep those few, and you find yourself automatically adding another law as you grow stronger. – Edna Lister, December 6, 1959. Rigid discipline means to hear, hearken, heed, and obey at all times. Then add to that a definite reprimand to the subconscious if it betrays you by idle words or a taint, adding the reprimand, "This is enough." – Edna Lister, December 11, 1959. Ninety-eight percent of your problems are nothing more than old habits. It takes guts to discipline yourself all the time. – Edna Lister, January 3, 1960. Postponement and delay are due to lack of self discipline. – Edna Lister, February 4, 1960. "I AM will never miss a detail today." Compare this with what you are doing. Discipline is the key. Do not blame another for what you forget to do. It is not their task, or they would remember it. – Edna Lister, February 22, 1960. You might just as well make up your mind to chasten yourself, which means to discipline yourself to use the good words that will keep the vibration of joy and Light open. Now you have given the best you have allowed yourself to give. How about allowing yourself a greater good to give? – Edna Lister, May 8, 1960. Establishing one habit of self-discipline makes it easier to establish another. – Edna Lister, June 10, 1960. For ages, those who have been unable to take the rigid discipline of soul conquering have dropped by the wayside as unworthy. The definite tragedy of earth is that you can stop just short of knowing the full rapture, ecstasy and joy coming from complete acceptance of responsibility. You know your disobedience and its depth by the depth of the rebellion and of surrender of self will. Heavenly Councils never pass out bribes for holding and doing your duty. – Edna Lister, June 22, 1960. You ascend as you mature and become self-disciplined; life offers you ample opportunities to learn to discipline to a higher way of life. – Edna Lister, The Destiny of America, October 11, 1960. The laws of the great abyss are the hardest of all to learn, and it includes all abysses between earth and the Source. Countless thousands of descended creator gods lose their places here and start to regress through self-blame, self-pity or even resentment for such trials by fire. This Great Crossing is the cleaning up of all taints. There is no easy way to conquer it, and you can accomplish the great crossing only through most rigid soul disciplining. At times you can only gasp for breath from pain, but usually from a self-disgust. You can do it as a miracle, or inch by inch. Some choose a little death every day. Yet, you can accomplish it as did Paul, by walking out of prison free. The time is now for you to move up in consciousness forever. Wasting time in dullness is very silly, when to stay up always means complete awareness, alertness, and conquering. Every prayer, statement, declaration and desire to move up in consciousness adds bricks to your stairway to comprehension, direct from the Source. You are now crossing a final section in the bridge from your line of fate to your path of destiny. You cannot afford to look back, falter, or tolerate self. You shall demand perfection of the self, alertness, awareness of all that happens about you, with no self-excuses or justification. Only one answer to each episode is right: "Move up in consciousness into the Light." Make your self a gift to lay on the altar, bringing whatever it is the situation is making or giving with you. – Edna Lister, January 3, 1961. Thank God for disciplining. The greatest of all is to love God enough to want to be perfect. Thank God when others trim your sails. Take everything that comes as help to make you more perfect. Be alert and never miss a detail, ever. If Edna Miriam sees something and tells you about it, it is nothing to her, but being it is necessary for you. 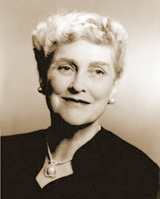 God works everything together for good and you learn as you progress.– Edna Lister, September 7, 1961. A child becomes moral under discipline and training. – Edna Lister, The Seven-Branched Candle Stand, October 24, 1961. The road of life is a narrow road of discipline. – Edna Lister, The Seven-Branched Candle Stand, October 24, 1961. You must chasten yourself on idle words, which means to discipline yourself to the good words that will hold joy and the Light vibration. – Edna Lister, The Seven-Branched Candle Stand, October 31, 1961. Working by the clock is good rigid self-discipline, but timeless, spaceless, ageless, immortal soul recognizes no time. – Edna Lister, The Power to Transform, December 4, 1962. No time is better to discipline or to reprimand than now. – Edna Lister, January 10, 1963. Be rigid in your self-discipline. Every idle thought creates according to its own kind. – Edna Lister, June 7, 1963. Honor, loyalty and integrity are the first fruits of self-discipline and self-sacrifice. – Edna Lister, August 15, 1963. You can discipline the subconscious mind only in the moment of its disobedience, or you are just "thinking about" doing it, which is based in self-satisfaction, and "sets" the subconscious in its selfish ways; "little me" does as it pleases. – Edna Lister, July 28, 1964. Discipline is a pattern most easily learned at home when you are young. – Edna Lister, November 27, 1964. Self-discipline must work from physical attention to detail through the emotional and the mental, to remove blocks that hinder the Light from doing its perfect work through you. – Edna Lister, January 3, 1965. The Eastern mind-set is better prepared for ascension in some ways, for they are taught sacrifice of self and are accustomed to heeding and obeying orders. It is not as hard for them as for the Western mind, which is undisciplined to a large extent. Self-discipline is so out of vogue that people in the metaphysical circles discipline themselves only mildly, and in the churches virtually not at all. They think about it, wash their auras on Sunday, but do nothing at all the next day. Each has his own way of bridging the abyss to God consciousness. Religion is supposed to be a bridge, but it must permeate your physical, mental and spiritual phases of life to complete the bridge. To succeed as a bridge, religion must be a way of life. Few souls choose that. – Edna Lister, June 24, 1966. Discipline yourself and lift. Change! Become! – Edna Lister, September 8, 1966. Rigid discipline of self creates a beautiful life. – Edna Lister, Beauty, a Spiritual Way of Life, May 9, 1967. Improvement of mind alone is impossible without general improvement of whole life. If you think better, you should live better, and no man's thoughts can be higher than the standard of his actions. To think great and noble thoughts, you must purify and refine body and soul. – Edna Lister, Greek Philosophers and Mystics: Pythagoras to Plotinus, November 26, 1968. You must practice the discipline of remembrance at the end of each day, and examine your thoughts and impulses. Forethought comes from discipline and prevents "thoughtlessness." A trained mind can think back from actions to causes and forward to results. – Edna Lister, Greek Philosophers and Mystics: Pythagoras to Plotinus, November 26, 1968. Education is a way of living, a bringing forth, not a pouring in. It must come from above, from soul. – Edna Lister, Greek Philosophers and Mystics: Pythagoras to Plotinus, November 26, 1968. Nonresistance requires the utmost self-discipline until the soul wins, not the self. – Edna Lister, December 6, 1968. You never reach the point where we do not need to discipline our self. – Edna Lister, August 3, 1969. As a dog returns to his vomit, so a fool returns to his folly. – Proverbs 26:11. He that rules his spirit than he that takes a city. – Proverbs 16:32. He that hath no rule over his own spirit is like a city that is broken down, and without walls. – Proverbs 25:28. Every prudent man deals with knowledge: but a fool lays open his folly. – Proverbs 13:16. Etymology of discipline: Latin disciplina, from discipulus, "pupil," from discere, "to learn." Discipline of the self is a law of doing. Discipline of the self is a soul virtue. Copyright 2012-2017 by The Society of the Universal Living Christ. All titles published under "The Via Christa" are copyright protected. All Rights Reserved. You may not modify, publish, transmit, transfer or sell, reproduce, create derivative works from, distribute, perform, display, or in any way exploit any of the content, in whole or in part. No part of any book or paper herein may be reproduced or transmitted in any form or by any means, graphic, electronic, or mechanical, including photocopying, recording, taping, or by any information storage or retrieval system, without permission in writing from The Via Christa. Modified September 30, 2017.